Guwahati: Here is a tale of two films from Bangladesh which were screened at the 4th CineASA Guwahati International film festival that comes to an end recently. ‘Meherjaan’ and ‘Guerrilla’ which were displayed under the section ‘Liberation Stories’ reflect complete contrast to each other though both of them are on the back drop of the armed conflict which separated Bangladesh from Pakistan in 1971. ‘Guerrilla’ shows the struggle of the Bangladeshi people while ‘Meherjaan’ shows an opposite tale of love between a Bangladeshi woman and a Pakistani soldier. ‘Guerrilla’ by Nasiruddin Yousuf Bachchu which is an adaptation of the novel Nishiddho Loban by Syed Shamsul Huq shows the anger and struggle of Bangladeshi people against Pakistan. He has crafted the film Guerrilla with his own experience as a leading fierce freedom fighter of 1971, sketching real incidents of those days. Guerrilla is a delicate, artistic rendition in moving images of the heroic deeds of the liberation war's valiant freedom fighters on an epic canvas. “It’s really a well made film which I enjoyed watching,” said Jadumoni Dutta, a national award winning filmmaker who watched the film at the Dhaka International Film Festival last year. Bilkis, a bank professional after losing her journalist husband Hasan Ahmed starts searching for him and at the same time got herself engaged as a collaborator to the guerrilla operations which were gradually gaining momentum. She was not affected by her personal loss and pain, rather, undaunted; she chose the hazardous path to carry on the fight for our liberation. Finally she blew herself up with explosives, destroying the surrounding Pakistani soldiers in the process thus highlighting the spirit of the Bangladeshi people. 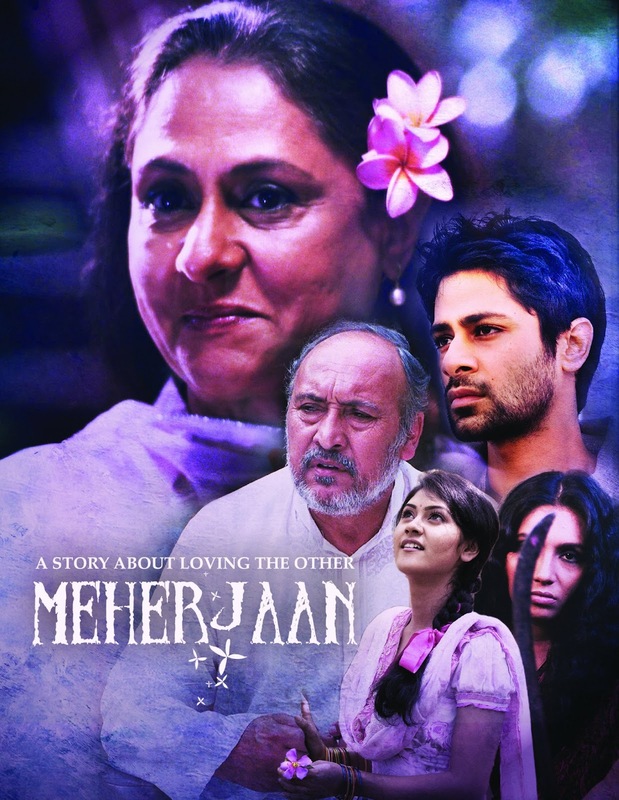 While, in a contrast, Meherjaan, directed by Bangladeshi filmmaker Rubaiyat Hossain, is about the love of a Bengali woman for a Pakistani Baloch soldier in the backdrop of the 1971 war which created mixed reactions among people. During Bangladesh’s war of independence, Meher, the protagonists falls in love with a soldier from the enemy side. When her love is discovered, she is shamed and silenced by her family and society. Thirty-eight years after the war, Meher is approached by a visitor. Sarah -- a 'war child', Meher's cousin Neela's daughter, who was given away for adoption, is trying to put together her past. Together, these women re-tell history through their narratives. The film which was released in January 2011 also features Joya Bachchan and Victor Benerjee. But the film created angst in Bangladesh which prides its Bengali heritage and where the atrocities of the Pakistan army are still recent memory. Bangladeshi feminist groups said that the film trivializes the atrocities on women by the Pakistani army when it runs the story of Meher, a Bengali girl who falls in love with a Pakistani soldier, and is then humiliated by her family when this is discovered. “I was raped several times by Pakistani soldiers, and I cannot stand this soft corner for Pakistanis in the film,” said sculptor Ferdousi Priyabashini. But the filmmaker Rubaiyat Hossain was candid about her woes. “I tried to break out of the stereotype of the Bengali hero versus Pakistani brute in the backdrop of the 1971 war, and that is what my countrymen are so upset with,” Hossain said. “Women usually appear as sacrificing characters. They are often treated as part of the silent landscape -- objectified, abused and raped. The purpose of ‘Meherjaan’ is to break free of the typical male narrative and open up a conversation to explore other perspectives on the Liberation War,” she added. ‘Meherjaan’ so far has been screened in several international film festivals.